Believe in your dreams and don’t let other people steal your dreams . 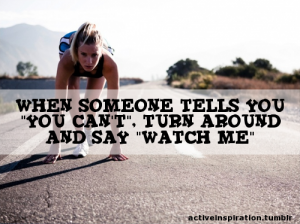 . .
Watch me . . .